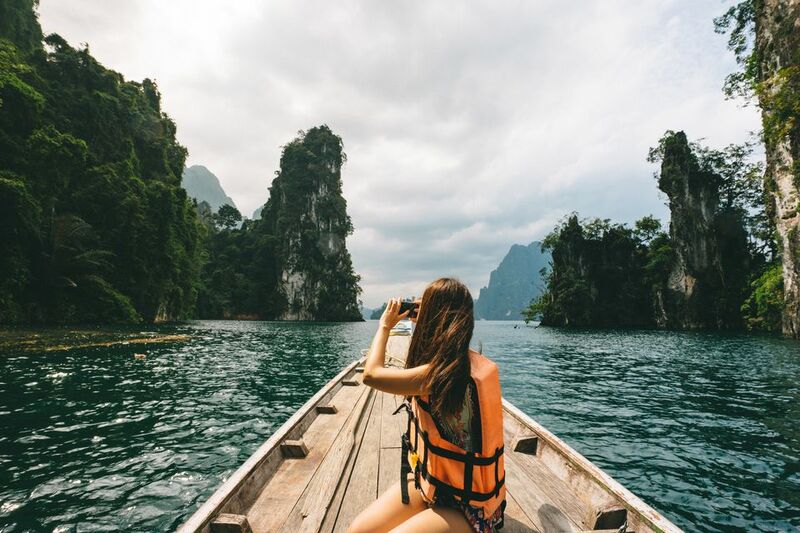 Thailand, a land of tropical beaches and ancient ruins, along with ultra-sophisticated and modern Bangkok, is an exciting and romantic choice for a honeymoon. For this super-special occasion, go all out at a luxury resort in one of these stunning exotic locales. You can even make it a destination wedding and honeymoon package if you prefer. These top five luxury resorts are all known for impeccable service, amazing suites and villas, and great beach locations. Gorgeous grounds, infinity pools, sea views, and your own private lounge areas are just a few of the features you'll find at these prime resorts. This level of luxury doesn't come cheap, though. Expect to pay several hundred dollars per night at any of these world-class properties and considerably more if you're booking a larger villa. It's a sure bet that it will be money well-spent, with memories to last a lifetime. Before there were scores of five-star resorts on Phuket, there was Amanpuri, the original heart-stoppingly beautiful, over-the-top luxurious island resort. Amanpuri set the standard for luxury in Thailand and is still considered one of the country's finest resorts. The villas and pavilions, many with their own lounge area, set the standard for luxury in Thailand, and Amanpuri is still considered one of the country's finest resorts. The elegant, discreetly decorated rooms and grounds convey refinement and exclusivity. There probably isn’t a nicer place to stay on the island of Phuket than this intimate resort with its own white sandy beach. The large rooms and private villas all have their own small swimming pools, and the grounds are lush and gorgeous. Amazing views and excellent service make this a once-in-a-lifetime splurge worth it, especially for honeymooners. This amazing resort was voted best property in the world by Conde Nast Traveller UK in 2008, beating out competitors all over the globe. And it's no wonder: Amenities such as personal butlers mean impeccable service and attention to detail. Most guests at the Six Senses Samui all-villa resort have their own private infinity pools, and there's also a massive infinity pool on the grounds for everyone to enjoy. Twenty acres of private property on the northern tip of Samui guarantee guests total privacy. Though this property is larger than some of the other five-star luxury resorts in the area and carries an international chain hotel name, there is nothing mass market about the service or amenities here. The grounds are lush and beautiful. The property is located on Phuket's northwest coast, away from the hustle and bustle of central Phuket but near some of the island's most beautiful beaches. The Marriott also offers special honeymoon packages that include limo airport transfers, champagne dinners, and spa treatments. The Four Seasons' reputation for excellence is apparent at this luxurious resort nestled in the Samui hills overlooking the Gulf of Siam. All accommodations at the Four Seasons Samui are villas, the smallest of which is 1,300 square feet. The on-site spa offers plenty of indulgent treatments. Management offers personalized honeymoon packages, too.